Is it party time? 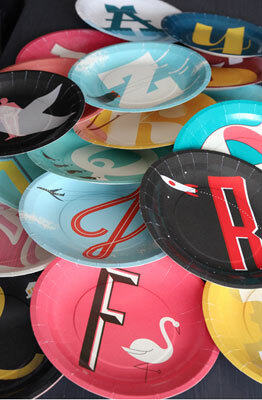 If you want the table to look as good as the birthday boy or girl, you should invest in these A to Z midcentury modern paper plates and cups. They just look so good. 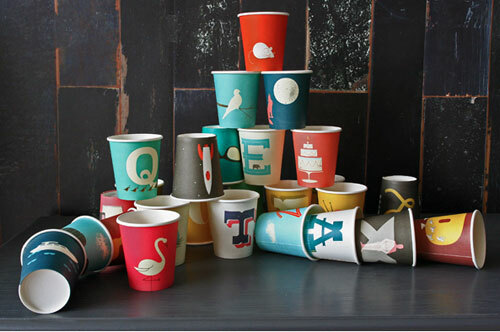 An eclectic range of images and letters (from A for Anchor to Z for Zeppelin) in bold colours, all printed onto either cups or plates and all with a midcentury slant. 26 in each set, as you might have guessed, with the cup set at £7.50 and the plate set yours for £10.